I usually do an FAQ update every time Armada releases one, but Legion doesn't play like that. Instead, we have a living document for our rules. Area Terrain is a good concept that wasn't covered well in the past. Well, actually it was in that the old rule book considered every type of terrain area terrain and didn't quite get the True Line of Sight (True LOS) concept except as clarified by email. 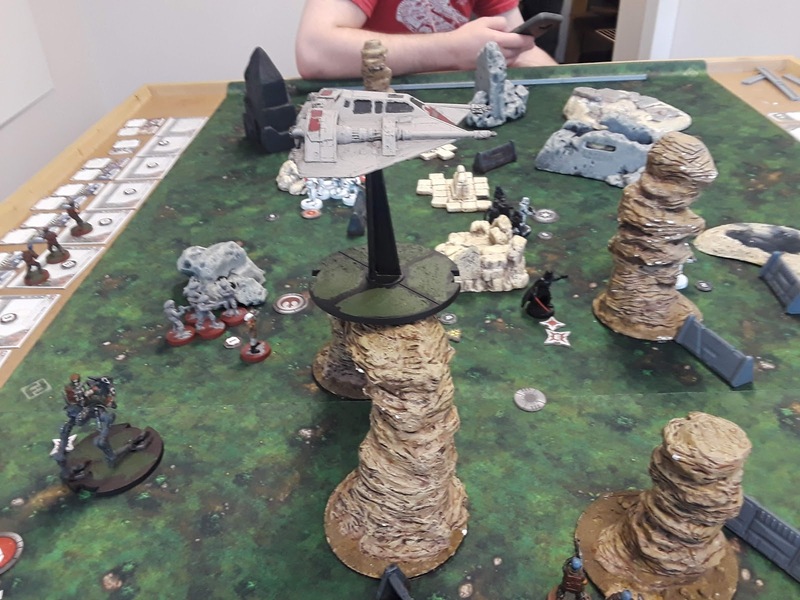 Basically what you need to know is that you can include area terrain in your games to represent things like "a bunch of trees", "some shrubbery", or "a house" that your troopers can hide in but AT-ST's can't move through. This is obviously something you want to clear with your opponent first what it does. Also ground vehicles act as area terrain. More on this in a bit. Looks like there is now a way to drop bombs on the battlefield. Probably the Rebel Commandos and Scout Troopers. Here's some attack clarifications. After each attack pool is resolved, the suppression tokens are applied (if ranged and a hit is rolled) and each attack pool is treated as an attack. This confirms my Han Solo 2 pip command card ruling: If each attack pool is an attack, then if you are forming an attack pool that must attack the face-up command token trooper if possible. This also sets the stage for Standby to work as intended - the standby attack takes place BEFORE anything that resolves after an attack. This includes suppression. And here's how Boba Fett's Bounty will work. Basically this adds an extra win condition to the board, which is more useful in some objectives than others. This could also backfire, giving your opponent a victory token if their commander survives. Worth looking into in greater detail later. Clarification on what upgrade cards do. The takeaway here is that there are going to be multiple types of mines/bombs that you can drop on the board. Okay, so the big deal here is Operatives and how they work. Basically, you need a specific operative to issue orders from that operative. If you don't you can't use them as a makeshift commander. I don't feel like much, if any, new information is in here. A reminder that Compulsory Moves activate Standby (as it activates on a move - not a move action). When you check for suppression (always), when you check for lost actions (immediately after "Rally") and when to check for panicked (immediately after "Rally"). Better LOS determining rules. Also how ground vehicles (and emplacement troops) work. Also Fett's base doesn't count. Let's just rewrite Cumbersome. Specifically, note that you can move then fire later in the round when using standby. Where's the "kaboom"? There was supposed to be an earth shattering "kaboom"?! I don't care that Vader and Luke are fighting, you can't drive your AT-ST over them to break them up. Here's how Emplacement Troopers work. Interestingly, they can be engaged, but not displaced. They obscure like ground vehicles. They can claim objectives. Can't pop things in a silly order - specifically Relentless and Force Push. Will we start getting a TON of operatives announced soon, or maybe a generic operative? This is how the Heavy Weapon Team mini-Special Forces units will work. First time the Heavy Weapons mini gets to be the unit leader! This is the first time we've seen this keyword. Maybe this is the keyword associated with the special forces sniper rifles? Or maybe something yet to be announced? Would make those good for hunting Jedi if so. Either way, look for this keyword for your Jedi hunting. Now you can see how Boba Fett's whipcord and ol' Sheev's Unlimited Power works. Immobilize slows you down by 1, and if you hit 0 you can't move at all. Nothing printed about being able to disengage if your opponent is Speed 0, but maybe I missed it somewhere else. This has been corrected to match the reminder text. This is IMPORTANT. You'll see why in a bit. Boba Fett works like this. Interestingly it doesn't make Pierce a bad idea, just slightly less effective. Instead of being a sure thing it add the chance of Pierce not working out, by rolling enough blocks to cancel the Pierce. Still, I'd rather have Pierce in my attack pool than not. It doesn't hurt you. If you wonder how issuing orders from an operative works, this is how. This is how "X" value keywords work - they stack. Interestingly enough, the example Arsenal X is the biggest culprit of being... odd... Every unit effectively has Arsenal 1, but none of them actually do. Arsenal 1 would do nothing new if given to a unit without Arsenal (make an attack with 1 weapon!) but starts to stack with anything else with Arsenal. That's why Weiss added to a normal unit would let it shoot 2 weapons instead of 1, but on an AT-ST he shoots 4 instead of 2. I am probably rambling, but I thought it was cool how it worked. Another keyword explained. Light Cover = +1 Cover. "Take Cover" upgrade card works to give you that light cover (get suppression just before you "Apply Dodge and Cover"). Here's how Sabotage / Repair Work, and also how you place condition tokens. You can't place them so they can't be physically accessed. BOBA FETT!!!!! Also you can promote them to commander like they are a Corps unit. This means you can do something silly like run Veers off the map to make sure Boba Fett can be commander to give a different section of your army his courage value. Something to keep in your strategic back pocket. Order tokens. Posted for completeness. E-Webs work like this! Note: Clambering isn't a standard move (though E-Webs being emplacement troopers can't clamber). Here's how the Rally step works. Note the timing for things: You check to see if a trooper loses an action immediately after the Rally step, you check for suppression at all times. Rally still happens even if a unit has no suppression tokens or can't get suppression tokens. Posted for completeness. 2 Operatives per army. Will we get more soon? Looks promising. You don't have to pull off ALL your suppression tokens with Recover if you don't want to. Note that the Rally step does NOT give you this option. Who would want to do that? Looking at you Luke "I want 1 but not 3" Skywalker, and Low Profile Han and Special Forces troopers. Who would not want to ready an exhausted upgrade card? Maybe there is one coming that does something as long as it is exhausted? Maybe it is just to ensure a missed opportunity is actually missed. Remember when I said that the Impact change was important? Well this bit here is what makes it that way. With this rule in place, the previous Impact ruling would have defaulted to what was in the rule book. That means Impact would take place all the time, and make Impact supersede Guardian. "Reminder text is not game text." E-Webs work like this. The reposition pivot counts for standby actions! Here's how Scout works, so break out your Advanced Position deployment battle cards! This is a really cool keyword. Long range "standby" overwatch! Here's how Speeders actually work. - Suppressed is equal or greater than courage value. Always checked. - Action Loss is only checked after the Rally step, if the unit is suppressed. - Panicked is only checked after the Rally step, if that unit has twice it's courage (or commander's courage) or more! ... that's it. Hope you're all caught up to speed now! Tomorrow the rules go live, so enjoy your games! From your bounty post: "This could also backfire, giving your opponent a victory token if their commander survives." How? The rules seem to say you have to have the "bounty" keyword AND take the token from a bounty unit. I don't see a downside here. Since you can choose operatives, his warning is for "Hot Fett-on-Fett Action", perhaps? Nope you are right. No backfire from Bounty. I read that rule all wrong. Well, it isn't a Steel Command post without at least one glaring factual error. Great article, as a Tournament Organizer this helps me do my job better. 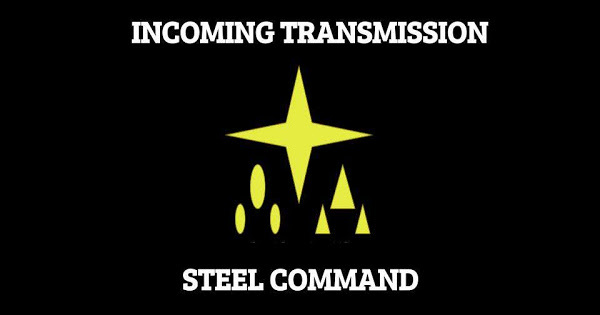 You said, "This also sets the stage for Standby to work as intended - the standby attack takes place BEFORE anything that resolves after an attack. This includes suppression." You can spend the Standby token before anything else that takes effect after an attack. Suppression is added after the attack. I really don't think this is correct. Standby is allowed to be used before other effects that "trigger after" an attack, etc. Receiving the suppression from an attack is not the result of a "trigger", it's just part of attack resolution. It's unfortunate that they use the word "after" in both cases, as that leads to some confusion I think. I don't think the usage of standby has changed at all in this update. This is further supported by the email clarification from Alex Davy that receiving suppression is part of the attack, and must come before standby can be spent.